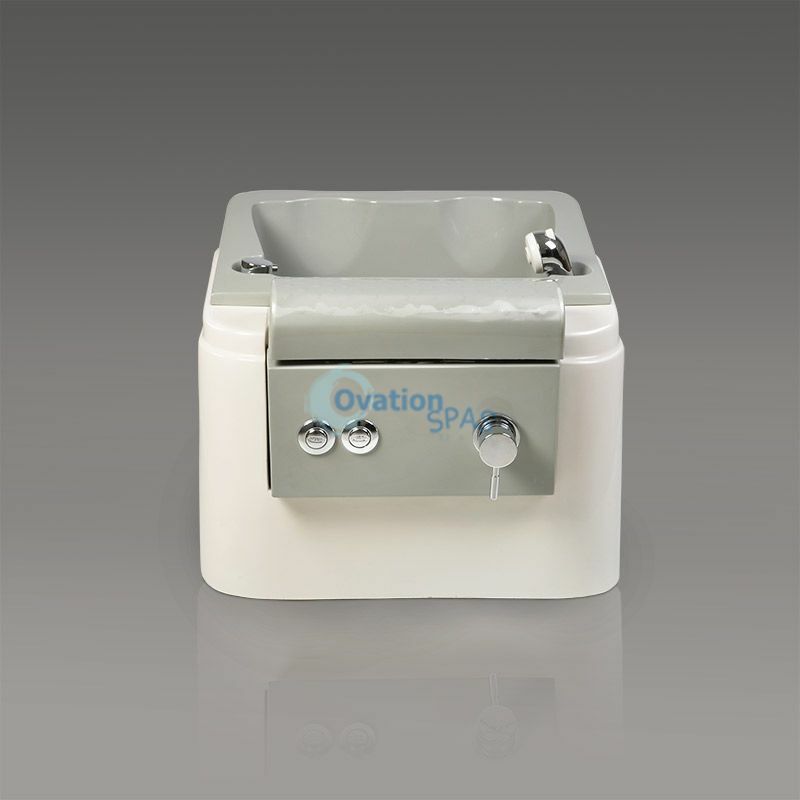 Free Shipping - Ovation Zero-A with portable spa is perfect for any nail salon or day spas do not want to deal with plumbing and installation! 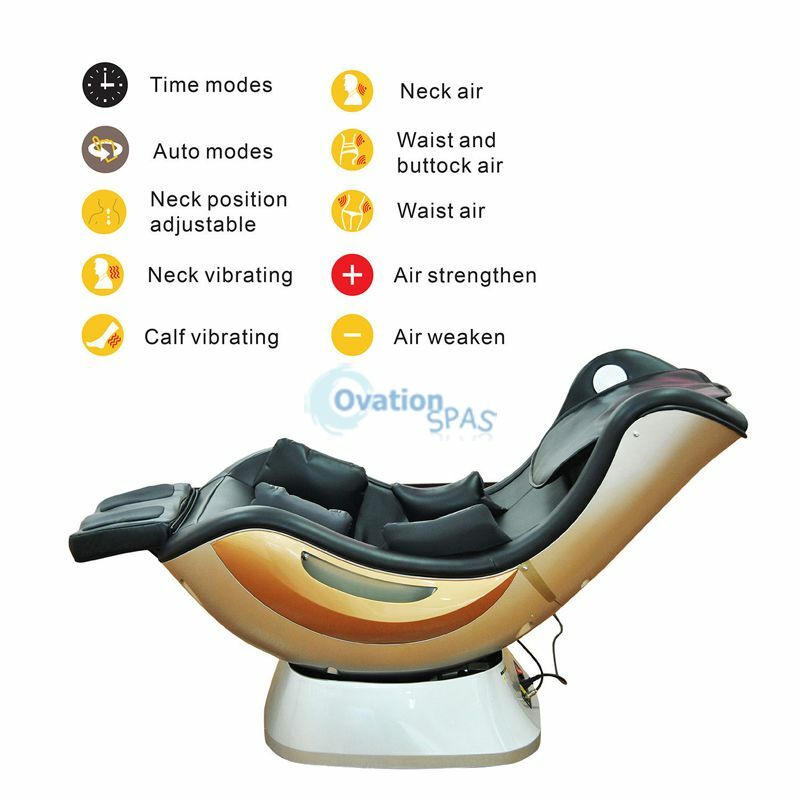 Strengthen your body and your mind with a Shiatsu massage chair from OvationSpas and start feeling the benefits of better living today. Our therapeutic pressure-points work in unison to provide you with total relaxation all in the comfort of your nail salon or day spa. The unique contoured design is visually impressive and shaped to fit the curve of your body. 24 air bags for compression placed throughout the chair and a 3-speed swing feature offers unprecedented levels of comfort. Built-in speakers allow you to play music via Bluetooth, FM radio or MP3 device. The multifunctional armrest has an audio interface, USB charger and room for storage. 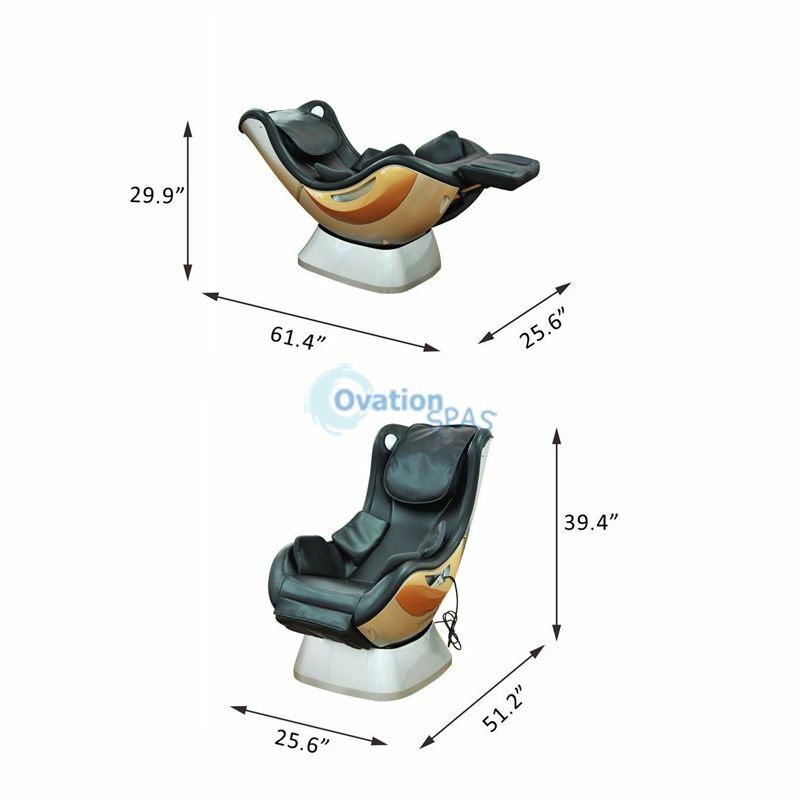 When you’re finished, the footrest retracts completely back into the chair to save space. Set free you both hands and enjoy relax more. 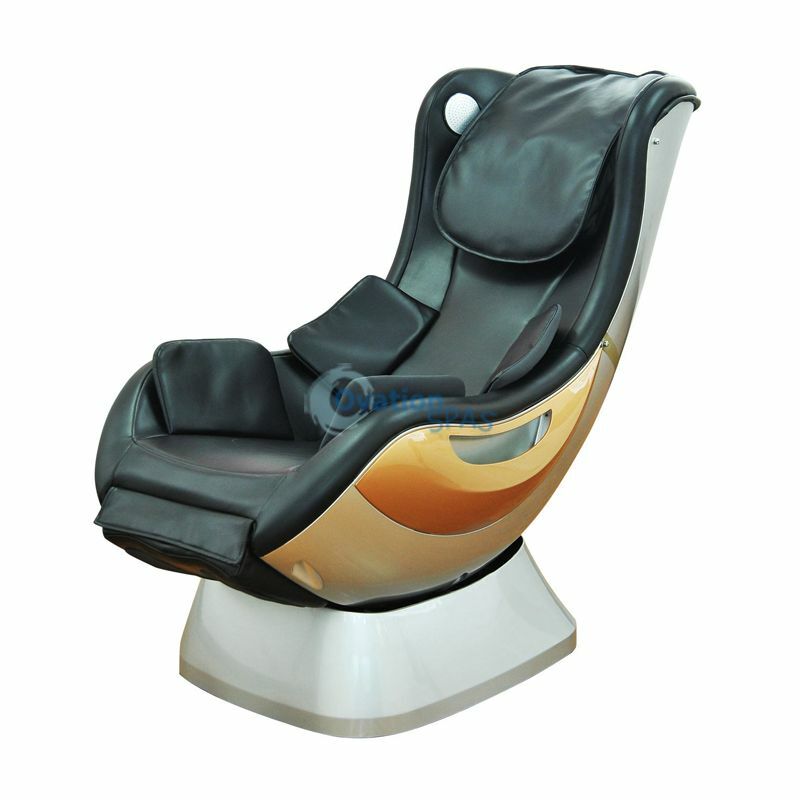 The spa is a compact pedicure spa that is perfect for small salons that have limited space and need extra flexibility. 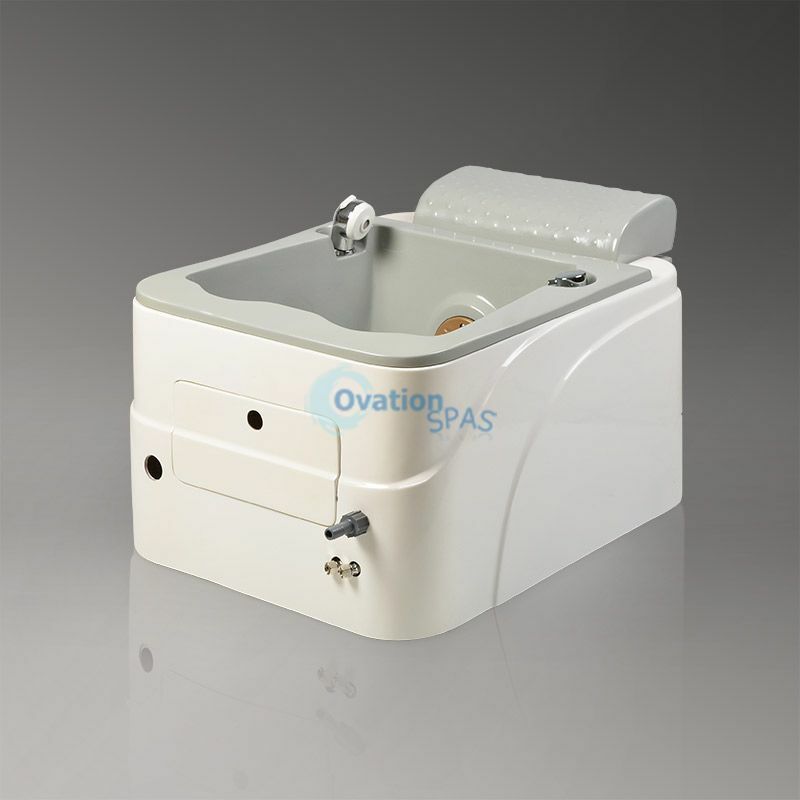 Portable spa is available in three options to meet the needs of your salon. This versatile pedicure spa is acetone-resistant and includes a protective gel-coating that guards the spa from rust and corrosion. 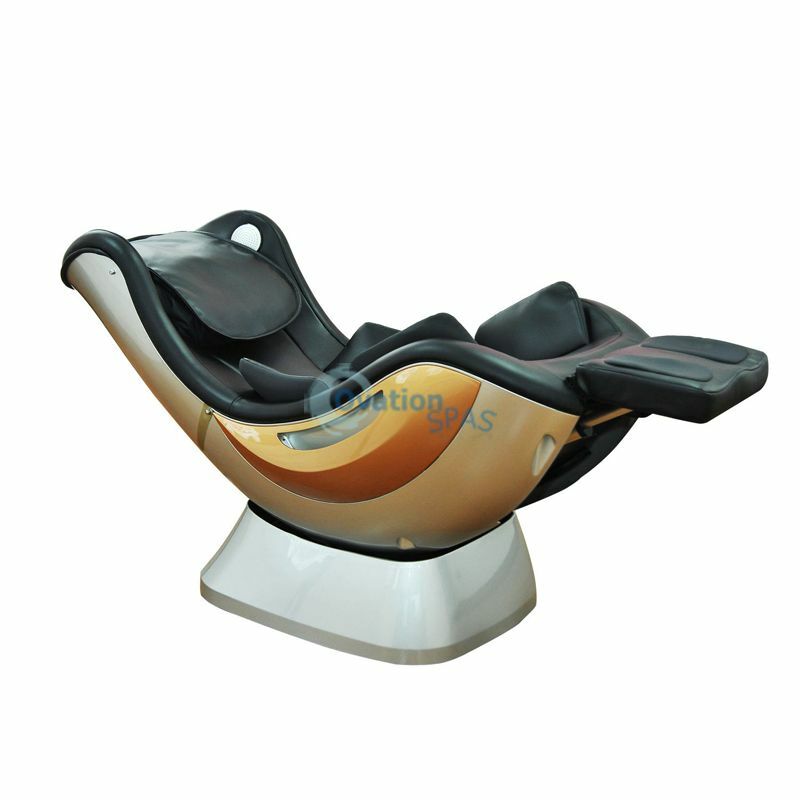 The lightweight spa features an adjustable footrest, polished chrome hardware, stainless steel shower hose and a removable front and back panels (Massage chair sold separately). 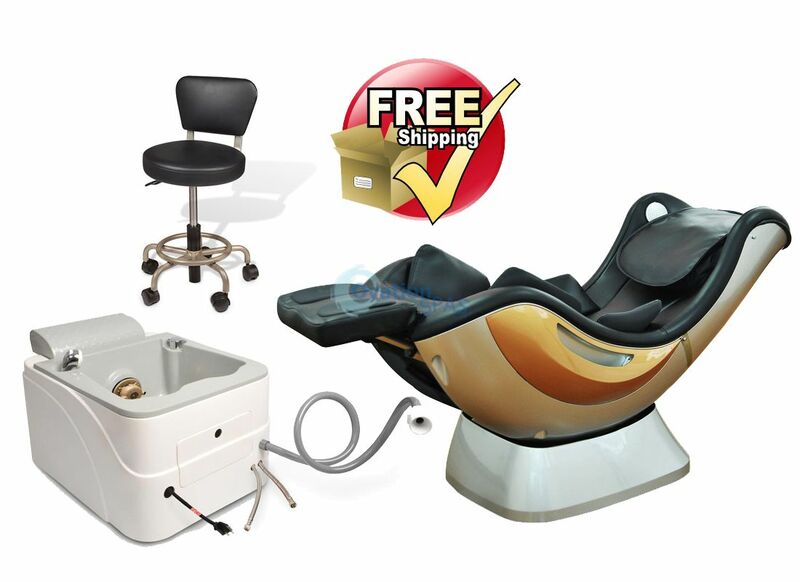 When choosing the Portable option, the pedicure becomes a mobile spa that can be moved freely around your salon using the spa’s built-in wheels. This unique feature makes the portable spa a great choice for salon owners that prefer compact spas. 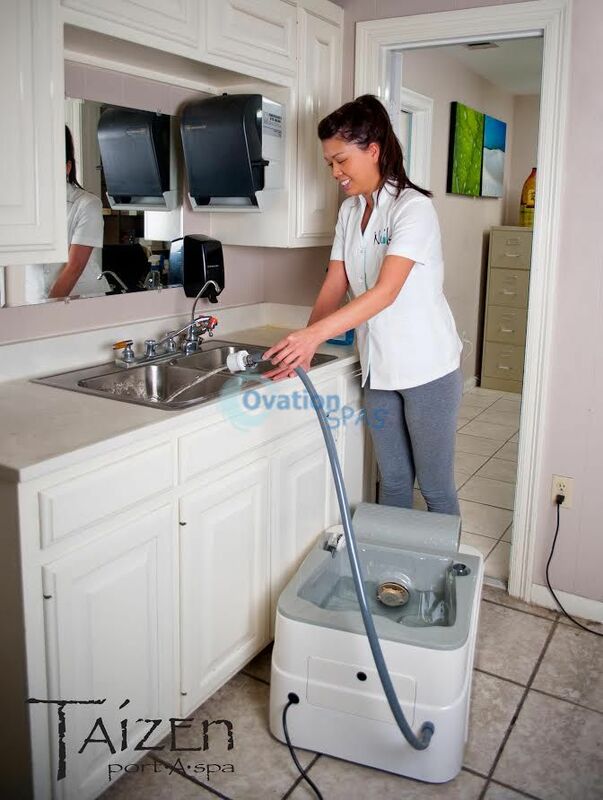 With the portable option, the spa can be operated without a permanent connection to a water supply; no need for expensive plumbing or installation! To fill the portable spa with water, connect the spa’s flex hose to your salon’s water faucet and fill the tub with water. After each pedicure, roll the Taizen to your salon’s sink and discharge the water using the flex hose by pressing the drain button located on each spa. 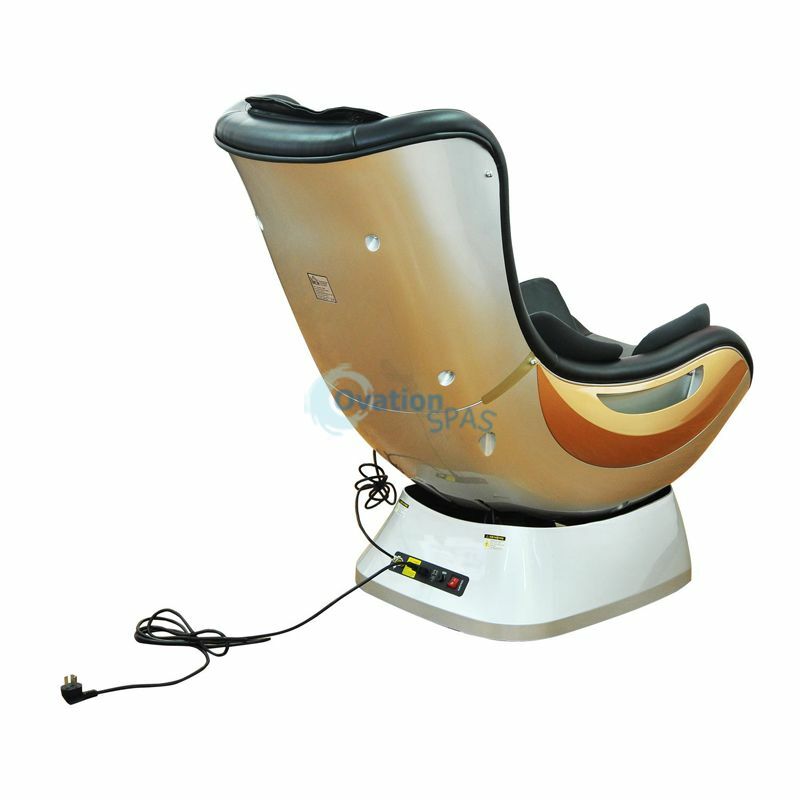 The versatile Taizen can also be used just like a regular pedicure spa when choosing one of the two permanent options (floor or wall-drained). 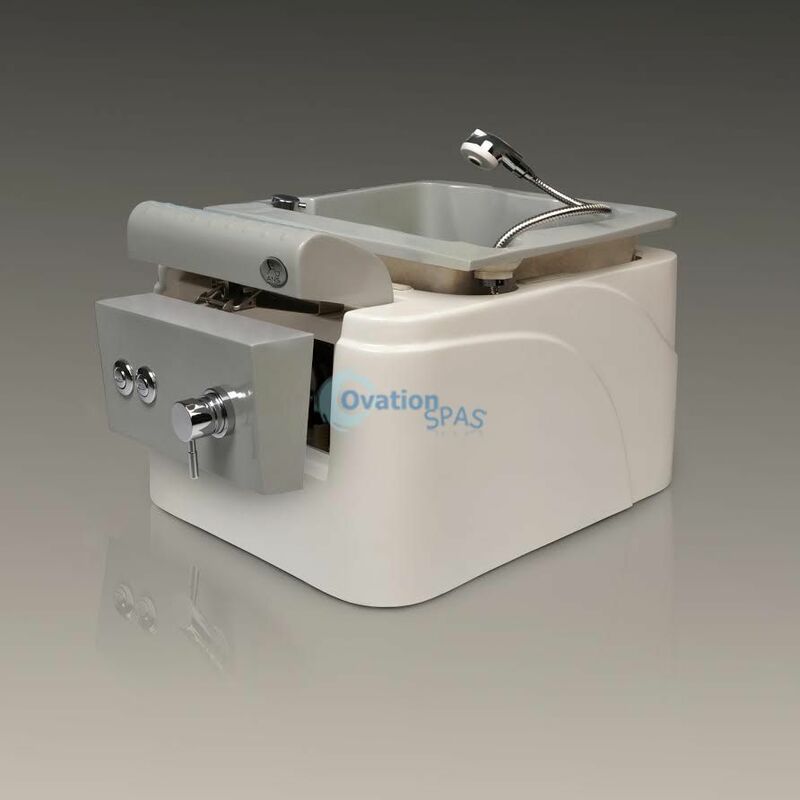 This compact spa can be installed in to your salon’s plumbing system just like regular pedicure spas but without taking up a great amount of space.